Hockey, despite the fact that is it often associated with ice, is a sport full of sparkling obstinacy. 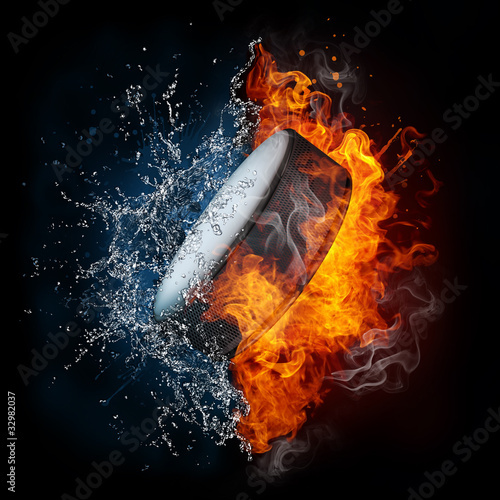 A photo wallpaper with a motif of a hockey puck will be an interesting, little eccentric and intriguing depiction of the sports world. Let the interior turn completely. Black contrasted with the forces of nature will reveal the heat sleeping in the room's interior.